A lot of people flipped out when they heard the Coen Brothers were remaking the seminal 1969 John Wayne Western True Grit, claiming nobody could ever replace The Duke. They got even madder when they heard the Coens swapped out Wayne for Jeff Bridges. But much like the Joker controversy surrounding Heath Ledger's turn in The Dark Knight, most fans of the genre will probably be able to easily look past this casting move, even accept it as a stroke of genius. Bridges gives us a squinty, scraggly, and realistically edgy Rooster Cogburn that The Duke could never have. 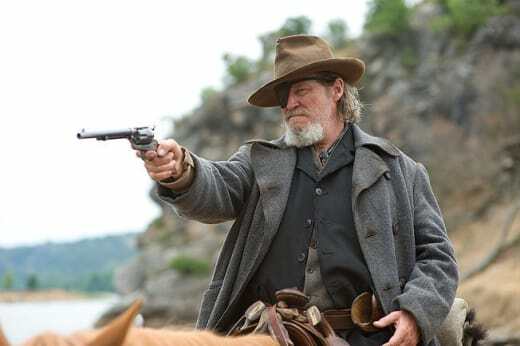 The way Bridges plays Cogburn is emblematic of the new film overall. 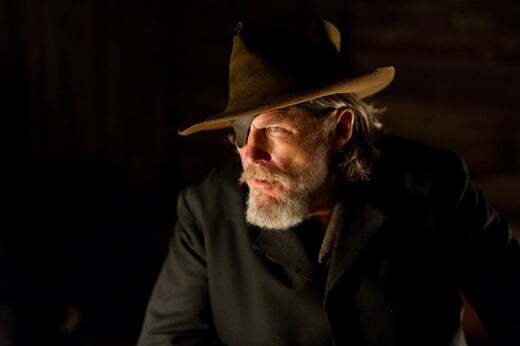 Less a remake than a re-adaptation of the original source novel, the Coen's True Grit is leaner, meaner, less funny and more realistic than the 1969 version. And in today's marketplace, that makes a lot of sense. I don't see The Duke's broad strokes working so well with the majority of today's audiences in the context of a no-holds-barred genre western, even thought it won him an Oscar back in the day. While Bridges leads the way as the scruffy, eye-patched marshal, newcomer Hailee Steinfeld steals the show as the young teenager Mattie Ross, who hires the disheveled lawman to kill Tom Chaney (Josh Brolin) the villainous scum that killed her father. Brolin is particularly dastardly, far more disturbingly so than Jeff Corey in the 1969 version. Similarly more lethal is Matt Damon's turn as LaBeouf, who's less of a sidekick here, as we discover long-standing issues between him and the ever-drinking Cogburn. But the most surprising thing about this Coen Bros. movie is that it's not like a Coen Brothers movie, at least not like what we normally think when we see their names adorned on the credits. Gone is the trademark quirkiness and dry wit, replaced by a rather straightforward western genre piece. The only thing that remains consistent with the rest of their work, besides the regular lineup of actors used, is the moody and expressive cinematography by long-time collaborator Roger Deakins. The rest has been sacrificed in order to tell this cowboy tale with as much true grit as the title suggests. Die-hard fans may find it difficult to admit that this new version of their old favorite is a success on almost every level, audiences expecting another Coen Brothers movie may be puzzled by the lack of oddness or may actually be pleasantly surprised by the freshness it brings to their body of work, and general audiences expecting a cool western will probably leave the theater perfectly satisfied.